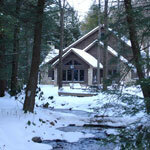 Nestled in tall hemlocks along a mountain valley stream, sits Shaffer Run Cabin. 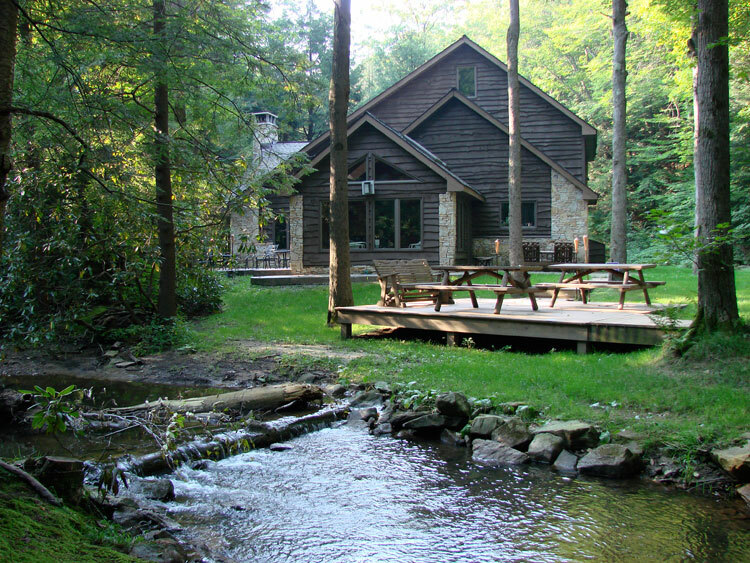 Although this cozy retreat is within 15 minutes of Seven Springs Resort and a host of other activities, it can also offer complete seclusion with hardly a noise except for the stream gently rushing over the rocks. 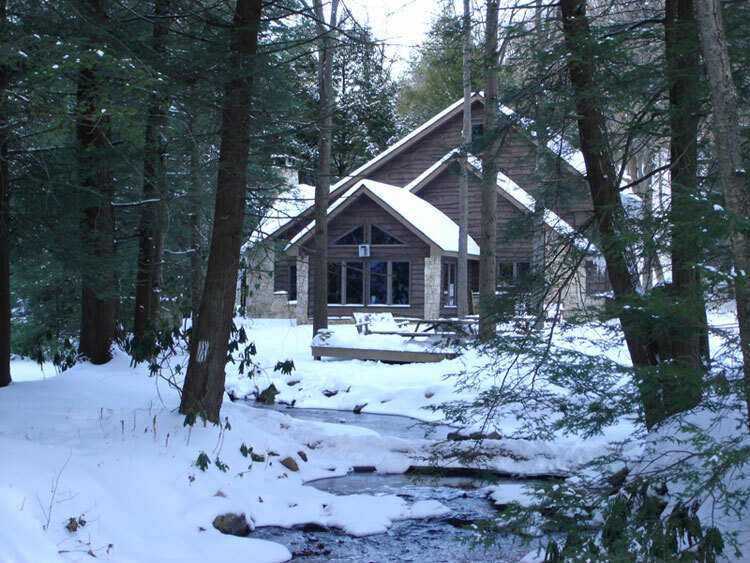 A long hike will entice you when staying at Shaffer Run, with the Forbes State Forest and its scenic trails within walking distance. 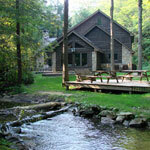 Complete with all terrain vehicles, fishing rods, and a stream to fish in, you don’t need to bring much to enjoy Shaffer Run. Although the cabin only has two bedrooms and three full baths, it has a large loft with four twin beds and an extra room on the first floor with two pull out sofas. Therefore, sleeping capacity can be at least 12 comfortably.